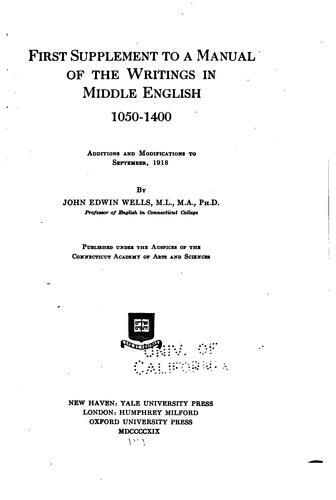 1 edition of A Manual of the Writings in Middle English, 1050-1400. Suppl... found in the catalog. Add another edition? 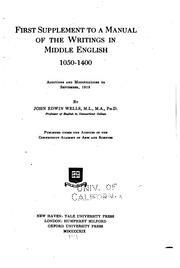 Are you sure you want to remove A Manual of the Writings in Middle English, 1050-1400. Supplement from your list? Published 1919 by The Connecticut Academy of Arts and Sciences . Adresse bibliographique du 1er supplément: New Haven, Yale university press; London, H. Milford, Oxford university press.